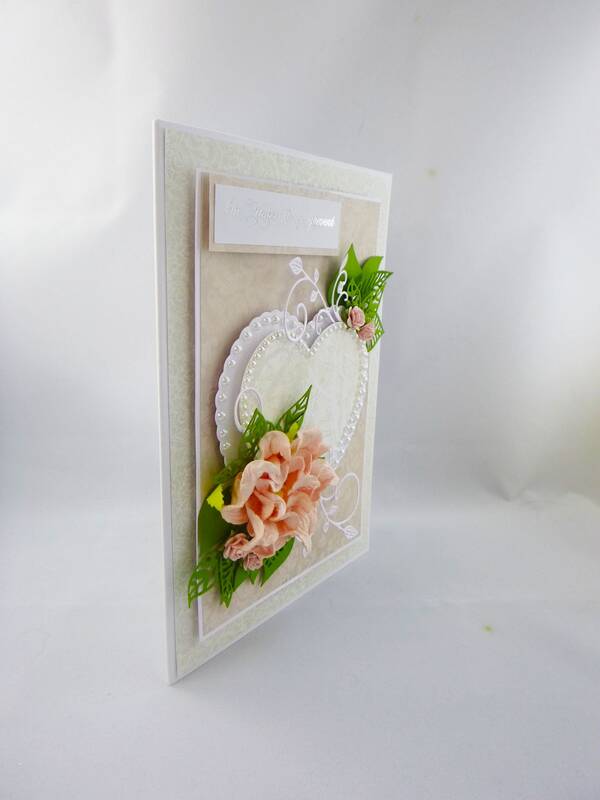 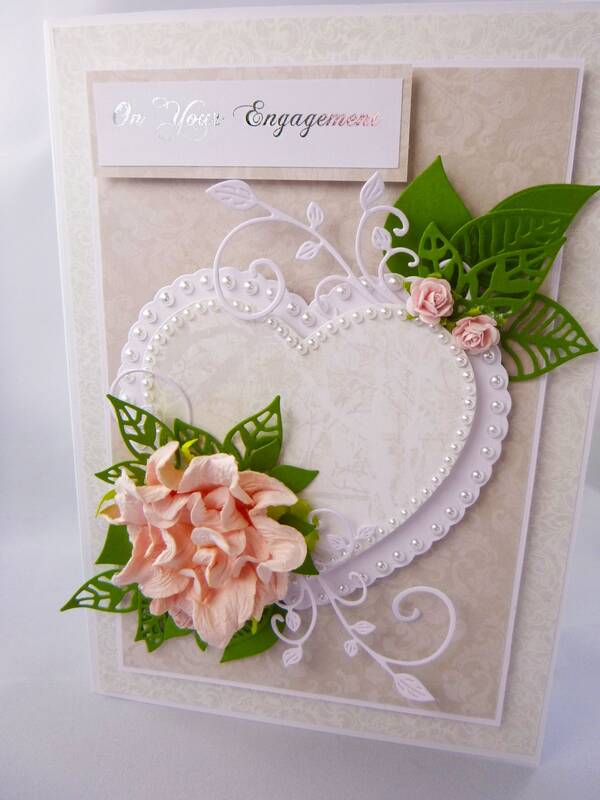 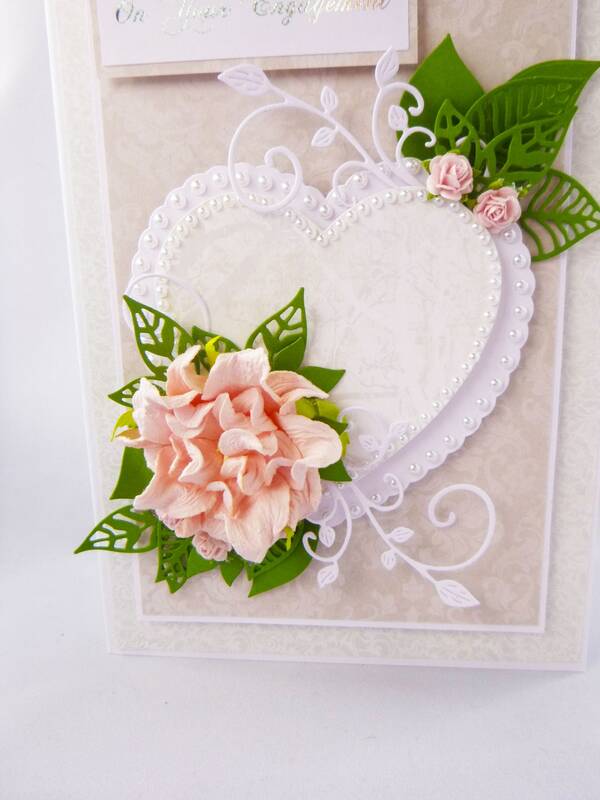 A beautiful handmade engagement card, with pink flowers white flourishes and dark green leaves, two hearts with embellishments of pearls. 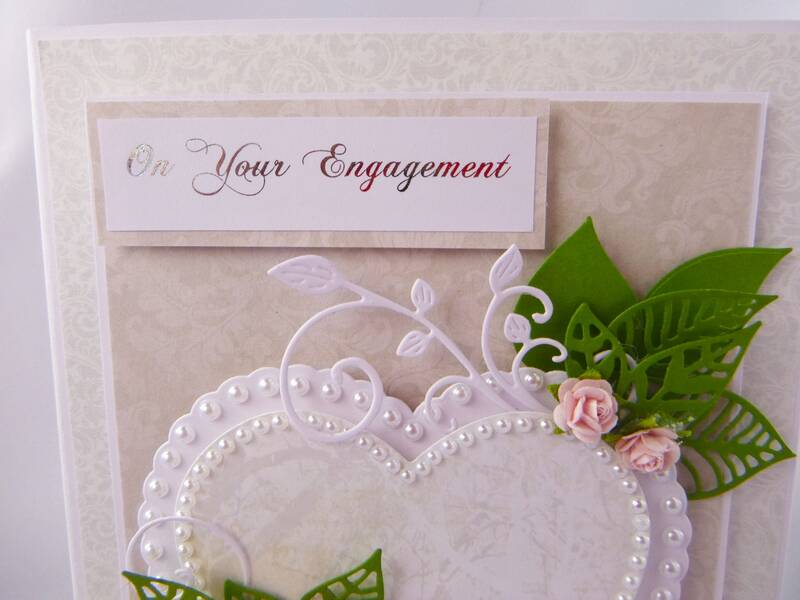 A sentiment at the top of the card with laser printed writing and then silver foiled. 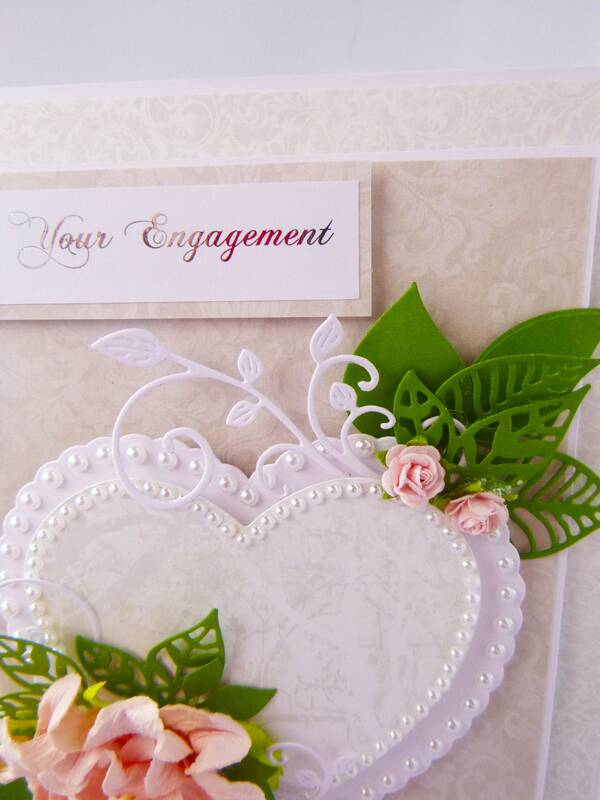 Which simply says, ' On Your Engagement'. 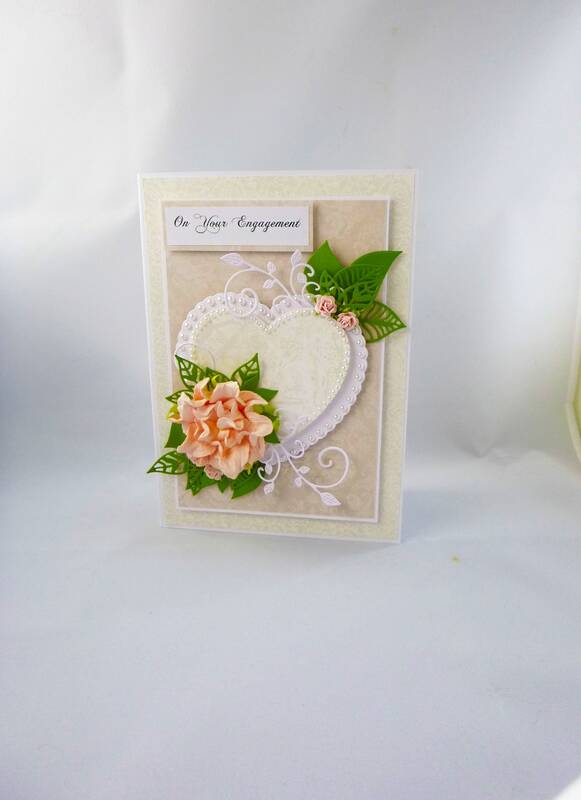 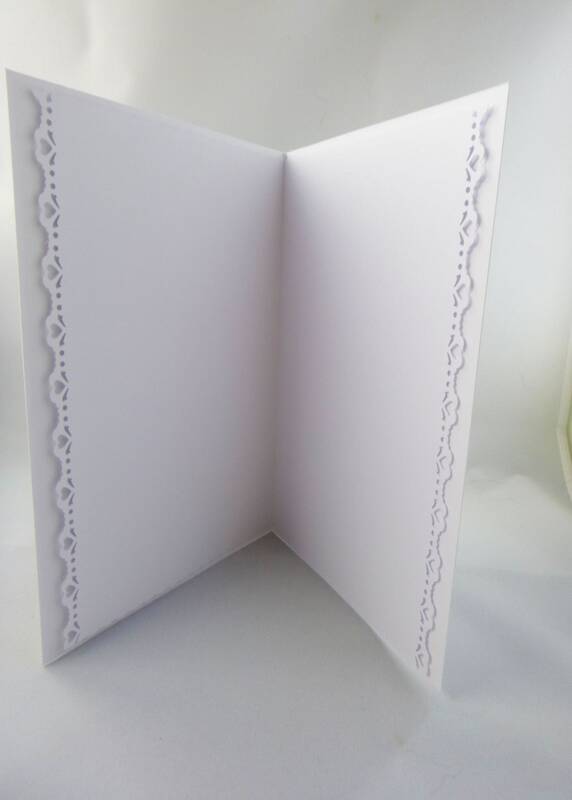 Inside the card is white insert paper with die cut edging in hearts, which has been left blank for you to write your own personal message. 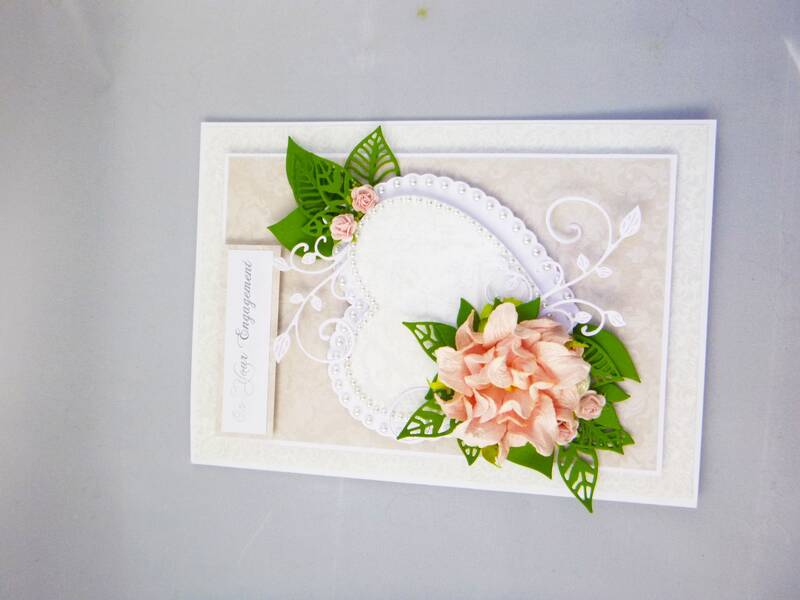 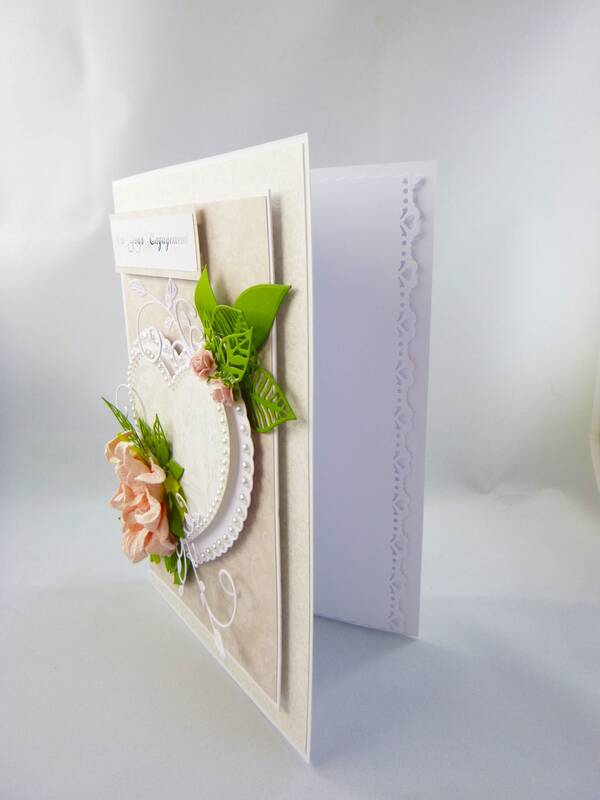 The card measures 6 inch x 8 inch, 15 cm x 20 cm, which has a decorated gift box to protect the decoration.